AR Technology makes usual things come to life by adding computer-generated sensory input including audio and video simulation. In the context of AR sandbox (iSandBOX) augmented reality is represented by 3D textures such as rivers, oceans, erupting volcanoes, grass, snow with luscious music and sounds of nature. iSandBOX construction consists of a box filled with regular beach sand, a depth sensor and a projector on the top that produces interactive images onto the sand. 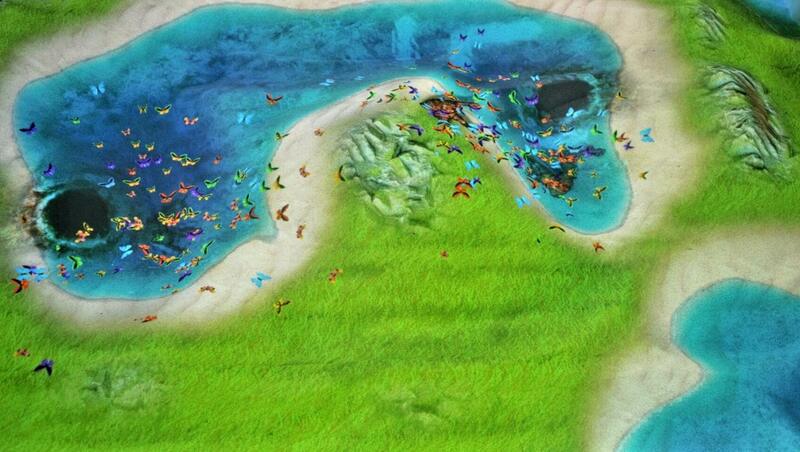 By moving and building the sand, user can create erupting volcanoes, rivers, oceans, mountains. The received data is then transferred to the computer. 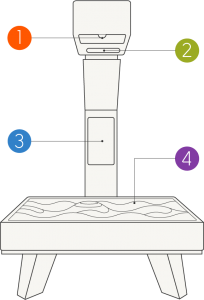 Computer processes the data and sends commands to the projector. The projector highlights the sand surface with realistic textures – blue water, red lava from volcanoes, green hills and many other objects, all in one sandbox.